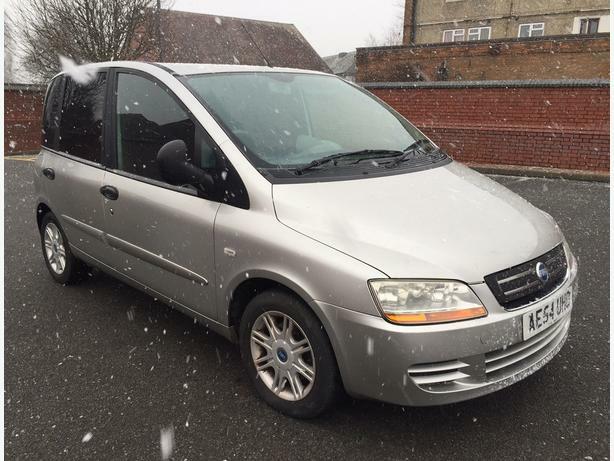  Log In needed £595 · 2005 FIAT MULTIPLA ELEGANZA 1.6 PETROL 6 SEATER - FACELIFT! CLEAN CAR JUST LITTLE DENT IN PASSENGER WING WHICH WILL PUSH OUT! 3 PEOPLE CAN SIT IN THE FRONT AND 3 IN THE BACK! MOT UNTIL END OF MAY 2018! FULL LOGBOOK AND MOT PAPER HERE!